You wouldn't need a 45 temp permit if your registration is current, and you wouldn't legally be able to get a 45 day permit with an expired registration. If a plate is lost, stolen, or missing it's still required. A driver could be cited. Are there a ways of getting around not having a plate? Sure. But legally you must have a plate for a vehicle that has been assigned one, and the registered owner has taken possession of it. I carry a flashlight in my brief case. Before I roll up the landing gear, I crawl between the mudflap and landing gear. Shine the light on the jaws and make sure they're closed. Just a habit. I've heard too many awful experiences like yours. Thanks for sharing, it reminds us all not to rely so too much on the tug test. Glad it all worked out for you. Rookie Lesson learned #127 - ALWAYS, ALWAYS, ALWAYS do a visual check to make sure the locking jaws have closed correctly!! I did the unthinkable and am thanking my lucky stars that everything turned out ok. Did a drop and hook at a meat plant yesterday picking up a trailer with 45K pounds of inedible parts bound for a rendering plant. Backed under the trailer...tugged...pushed back...tugged again...everything felt like it was supposed to. Hooked up my lines, raised my landing gear and began to pull out when I heard a godawful racket behind me, and my truck lurched forward. Pulled the brakes, got out, and lo and behold....there I was...lines all stretched out and the dang trailer on the ground. I was flabbergasted. Not having any idea what to do, I approached a yard jockey hoping he could help raise the trailer back up somehow only to be told that they weren't allowed to help. So he tells me to put the landing gear on the easy setting and crank it back up high enough to ram the truck under it again...told me someone else (another lady driver) did the same thing a few days ago and got it cranked back up...took a while, but she did it. Ok, I thought... So I got to cranking, nearly giving myself a stroke with multiple guys standing around watching me as if I was prime time entertainment. Even had two different men...other drivers...come talk to me about what had happened, said they would move their truck to a parking spot and come back to help me THAT NEVER DID. I am in decent shape, but trying to crank up 50K pounds is just a bit too much. I worked on it for over an hour and raised it about two inches before I went into the office, told the lady behind the desk what had happened and just about begged for someone to just help me crank it only to be told no again. After another 30 minutes or so, the yard guy came back and said he just couldn't watch me struggle any more. He helped me raise it some, and then two guys with those little forklifts came over and tried to help raise it. That didn't work, so the three of us took turns cranking until they had me get back in the truck while they directed me. Finally I was able to work up underneath it again. I was so incredibly thankful. I would have been there all night. Thank the good Lord above that there was absolutely no damage to the trailer, and when I delivered today, everything was ok inside. So...this is just my own personal shame. I haven't said anything about it except to my family and sharing it here in order to hopefully spare some other rookie the same moment. I felt like a complete idiot....and I will never trust a tug test again....EVER. They are legal. You can have a double combination in California. It is unlimited length on the interstate if neither trailer while empty is longer than 28'-6". If one of the trailers is longer than 28'-6" maximum length is 65 feet. Extensions these doubles are allowed on hay trucks at the rear of 18" while LOADED only. Loaded, this extension is not measured as part of the overall length. Once its unloaded the extensions need to be removed or slid in to get the trailer back to 28'- 6". Trailers 53' and longer are allowed as well, however the maximum king pin to rear axle must be no more than 40'. 53' trailers are allowed on all roadways in CA if an overall length is only 65'. Otherwise, only on Federal Highway Defense Roadways ( StateRoutes and Interstates), "T" routes, and if no other route is accessible to make a delivery at your destination. Usually a mile or so from a major Highway / Freeway. Triples are illegal in CA. Hope this makes sense, and I didn't forget something. This is in a quick nutshell. You mean all those doubles UPS and FEDEX drivers I pass on my weekly runs to L.A. are illegal? Whoda think it? That is most certainly a truck and trailer tanker set up. 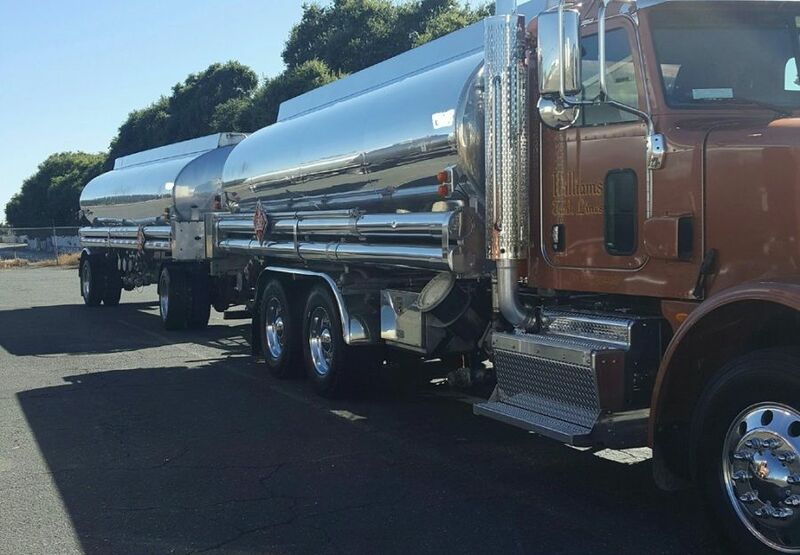 It is rare in California to find a "Petroleum" double tanker set up. Lots of milk tankers though. I think i'd rather slow. MAYBE I lose one second of time, than have the driver on the ramp hit my wheel, fender or bumper and we're both on the side of the road, and me losing my valuable time, having to explain my situation, to the Officer, then later my company, all for one second. For me I slow down, let them in safely so I don't get hit. First, yes, you guys can be a "bag of D*&KS" some times. I read more than a few of the replies, and the only thing I sensed was a sense of entitlement from the OP, which is really sad. I've been here a little over a year and can count on 1 hand (and still have fingers left over) the times the forum has "sternly" replied to someone. It was brought up in a safety meeting before. "You're on the interstate, in the right lane. Someone is trying to merge into traffic. You have the right of way, but this person forces themselves into the lane. Do you slow down and let them in, or do you keep going, causing them to run under your trailer?" First of all there is NO law against passing on the right in California. Only passing on the right, on the shoulder. Secondly just because the A4 driver committed an unsafe lane change (Unlawful in California) BEHIND you, this in no way caused the accident. He traveled too far up your right side. So Sir, I know you don't speak of me not knowing how to interpret the law. As far as GENIUS, you don't get a ticket at the scene in California. In the report you'll undoubtedly be found most at fault. A ticket for sure if your DUI, suspended, not CDL, or no proof of financial responsibility (Insurance). You showed us the darkness, we showed you where to find the rainbow. CHP rarely issues citations at the scene of an accident, unless witnessed by the Officer. It is usually an infraction that caused the accident, so it's usually an infraction not committed in their presence. Your state the A4 traveled so far up, almost to the cab, if you had checked your mirrors more than once, as other experienced drivers have stated, it probably wouldn't have happened. Maybe the A4's fault....MAYBE if the driver had clipped the right rear of your trailer. That scenario is sketchy too, because a Professional driver just doesn't quickly change lanes. Look multiple times, and move slowly. Minor damage to an Audi A4 after being squished against a guard rail? Hahahaha RIGHT! Follow the Professional advise given to you by the experienced drivers who are responding to your post. Yeah and don't pull your gloves off. If you did it, you did it. Own up to it. Depends on my mood. Most of the time, I pretty much keep to myself unless someone else initiates a conversation. Come to think of it, I had a real doozy the other day. I had just parked and finished my post-trip, when this guy comes ambling up to my window. I rolled it down, and he started talking about how he used to drive for Interstate, but the company he's with now pays SO MUCH better. He went on for a solid 15 minutes. And then spent the next HOUR ragging on how horrible his company treats him and how crappy their equipment is, and how he'd jump back to IDC in a heartbeat if they paid more. Low tire pressure in cold weather? DOT is not going to check for tire pressure, not in California anyway. If it is low, they will document it, but they don't go around check tire pressures. Flat tire yes, low tires in comparison to the others yes, check pressure no way jose. Bank it. Your answer to your last question is, If you get caught while in violation of HOS yes. If you get stopped, and are currently ok on your daily HOS including your weekly total NO. Officers won't write you a citation for a past violation. It is an infraction not committed in their presence. You have to be in violation somehow at that moment for you to receive a citation. It's similar to be speeding in California one day, and receiving a citation the next day for that episode. That's California Highway Patrol Policy anyway. Not sure of any other State, but i'm going to assume the scales of justice work the same elsewhere. Well said Brett. Trucking is no walk in the park. If one is to succeed in this business, you have to want to do it, and put up with the questionable runs too. Anyway, I don't want to echo everything you just wrote, because it was spot on brother. Well put! Mt T you're right on. I wrote about that exact thing in my book and we've talked about that on here many times. If you give the complainers and cry babies enough time to talk they'll eventually describe to you how they're the ones causing their own problems, not the company. In fact, I was just saying yesterday that you can tell a top tier driver by the way they communicate. You don't hear all of the company bashing and the crying and complaining about regular everyday things. You don't hear about them changing companies every three months or how they can't get any miles. You don't see them pointing fingers at everyone around them for causing all of their problems. 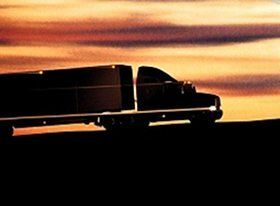 Top tier drivers face all of the same difficulties and hardships as everyone else but they do their best to take it all in stride, keep a great attitude, and focus on getting the job done. They also understand that they will be rewarded for the favors they do for dispatch and the patience they show when things don't go smoothly in the offices. Maybe they need someone to take some unwanted short runs or bring a damaged trailer in for service. Maybe they double booked a load and sent the driver on a wild goose chase for a load that doesn't exist. You know what? That's trucking. A top tier driver knows this, takes it in stride, and realizes that dispatch will make it up to them - and they always do. The entire reason I named this site TruckingTruth is because there is so much misinformation out there about this industry and specifically about a lot of the major companies. 98% of it is pure garbage that should have never seen the light of day but there is no shortage of websites let people spread this filth like it's solid gold career advice. I just couldn't sit back and let people be mislead by the poor performers out there who don't have what it takes to thrive in this industry. I wanted to teach people what it takes to be happy and successful in trucking and thankfully over the years a bunch of great drivers have joined the cause and have been coming here to give great advice every chance they get. The key to getting great miles, getting home on time, and getting special favors from time to time is to pay it forward to dispatch. Take the tough runs that no one wants and you'll be rewarded with the great runs that very few people get. Get the job done safely and on time, every time. Be a top performer, keep a great attitude, and do your part to keep the company running smoothly. There is always plenty of freight and good runs for the top tier drivers at any major company but you have to earn those miles and gravy runs by doing the dirty work sometimes. Once you've proven yourself to be a top tier driver you'll be treated that way. That's the error that so many people make. They know that drivers are in high demand so they think they can stroll into any company and just start bossing people around and cherry picking the good runs. The truth of the matter is that top tier drivers are in huge demand, not just any lousy driver. These companies will take just any driver because there are always some scraps lying around to feed them. But only the top performers get those special favors and consistently high miles that seem to elude most drivers. Some drivers have no patience! Not only will I also block traffic, i'll go spot them on the blind side. I hate to watch a guy struggling, or worse me, and everyone just sits and watches. Can't drivers be helpful or are they all too cool for that. Professionalism is helping out, and understanding the other drivers problem, whether in traffic, or backing in. In traffic if your passing, and the other drivers closing in on traffic and needs to move over, let him in geez! Why does he have to slam on his brakes and wait for you to pass (Especially if its on flat ground) . If you caught up to him/her, you'll pass them again. Be courteous and professional out there. Merging traffic too, let four wheeler come on, move over. It takes less effort to move over, than to have the vehicle hit your truck, now your stuck for hours with that fiasco. Don't be impatient, it always comes back to bite you. And move over for vehicles on the side of the road, you never know what they'll do. Oh nice response to blocking traffic....LOL.....That is courteous of you. (Sorry for the rant) I currently drive, but i'm an ex CHP Officer, so i've seen a lot of crap on the road, from different perspectives). It's just a pet peeve. Just like people who want to speed up right as I'm passing them. Or 4-wheelers zooming through the truck parking area. If I see someone trying to back in at a truck stop and they are obviously struggling I will block traffic and put my four ways on to keep people from trying to speed around them. I'd want someone to do the same for me. CHP scale Facilities as policy will give you 200 lbs off your weight, due to possible scale error. But, they are certified every year just so you know. Most Officers don't write citations for weights under 500 lbs. But, I said "Most". Goodluck out there. My fiance is new to trucking. He has completed training, and now drives on his own. His birthday is coming up, and I would like to buy him some tools, but am completely lost. I want to buy a durable brand. He mentioned socket wrenches before. So, I go to amazon.com and look through socket wrenches and there are so many different brands and sizes of tool sets. I was hoping someone could point me into the right direction. Durable brands of tools (stanley, craftman, etc?) Are socket wrenches pretty standard, or are there special ones for Semi Trucks? Other tools that truckers need? He's not wonderful, read my post below. I posted on wrong one. Here goes I need support and advice. I met a wonderful man online and he is a OTR driver. We get along great and seems like I've known him forever. I had my doubts at first and he stated in beginning he was willing to give his all in this if I could deal with his job. I must admit I have my doubts at times. I trust him and he did pick up a stop in my state which he doesn't usually do but came to see me. It was perfect when we went out and even in person it was as if we had known one another forever. Thing is the last week he has gotten a bit distant and we haven't spoken as much as we had been. I understand his hours can be crazy but I just like to hear his voice daily it doesn't have to be an hour conversation not even 10 minutes just to hear his voice. Well he got upset with me and basically told me if I was gonna be that way he'd rather be alone so I did respond if he felt that way it was on him and that I care a lot about him and want him in my life but he needs to want the same and show it left it at that so he texts to say hi middle of the night which i do not care what time he calls or texts as I know sometimes it may be the only time he has. So then and next day he was full of texts and nice words but never called just texted. So we finally spoke and he was a bit grouchy and he tends to get this way sometimes. Being apart and not being able to spend time with him is hard and I'm trying to be supportive but I just want to make sure signs I can tell he wants this. I am not that girl that needs 24 hour tabs on where he is as sometimes I have no idea where he is at even when we talk I trust him completely and want this to work. Any tips on how to handle his ways? Am u wrong to want that one minute of hearing his voice?